Ren is the protagonist I have been waiting for! Ahhhhhh!! Gorgeous animation and great to see the background story and resolution of the mementos quest. Thank you for adding Akechi segments ... he is always amazing. This episode was a lot of fun and seeing Ren's personality shine was definitely worthwhile. Those poses and facial expressions are dreamy. A Great Anime To Look Forward To. The anime was pretty much spot on despite there being an episode zero to start everyone off as a teaser before episode one. None the less, animation, music, and the characters look great and most of us here cannot wait until to see what happens next and if the animation sticks true to their story, of what happens in Persona 5. A great anime to look forward to. I'd write a review, but this cat is about to shank me if I don't go to bed. This is actually an excellent preview of what the anime will be like. Of course, a lot of us guessed that P5 would get animated, and this was a blatant sign of it, but the truth is that this is actually really enjoyable even if you have not played the game. Which is what I'm guessing is the target of the future anime will be. Showing a great game to people who might frown on playing 120+ hours for a story. Now, for the ones that actually have played the game, this is nothing more than an extremely well done love letter to remind you every once in a while that you have played a great game like this. The anime actually has it's job halfway done already, as the story itself is just borrowing from actual game segments, not to mention the OST which is excellent. Not having top marks for an anime adaptation would be simply blasphemous for the director. but I am very excited for it now!! The main character was great and Mona was amazing!! I've played and watched P3 and P4. Both were fantastic. By the end of the episode, I knew nothing about any of the protagonists, nor was I given any reason to sympathize with their ethically reprehensible methods. The villain going over the top bwahaha evil during the fight, clearly just to make the protagonists seem more justifiable, didn't do the story any favors. 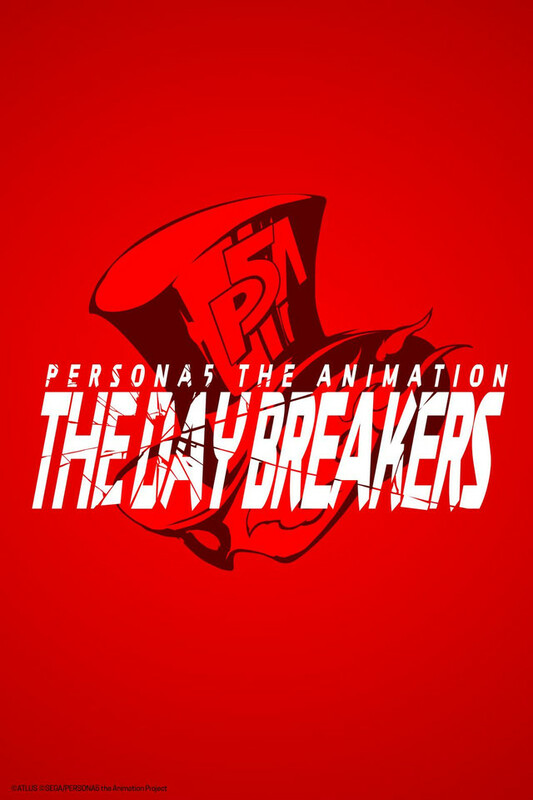 The battle animation and music were catchy, bringing back some of that Persona nostalgia, but overall, this left me less excited for the game, not more. I find it odd how I've heard complaints about the story and animation when as far as I can see the animation is above average with an amazing soundtrack as well. The story is above average but it also is masterfully told in a unique way. The show shows an example of how the Persona 5 game will eventually be, which is that the protagonists can invade a person's psyche to combat their negative emotions. The action in the episode isn't too complex but is stylish enough to service the triumph of the protagonists over the villain's sins. Um....I am not sure there is hope for this. I have no idea what to expect having not watched any of the previous persona's or titles. Little weird'ed out. The characters are probably best described as "cartoon characters" outlandish and absurd, to the point where they are almost painful to look at. The plot of the story also seem murky as it is unrealistic. I get the whole noble thief thing, but being a thief where they don't steal anything? .... just all around weird and disconnected from any reasonable human response. I did sort of like the fight scenes, those that I could catch with out the all razzle dazzel and painful costumes. Overall this anime feels like a very over the top garnish to try and spice up a very bland pie. I'll give it a few episodes...But chances are it's just not my pot of tea. Started off great til around 15 minutes in. Once it hit the about 15 minute mark I just walked away. It was interesting and had a curious feel to it up to that point. You can literally feel the whole thing turn at a certain point. It turns from interesting and plausible to magical girl type stuff. A prologue story to the upcoming Persona 5 game.